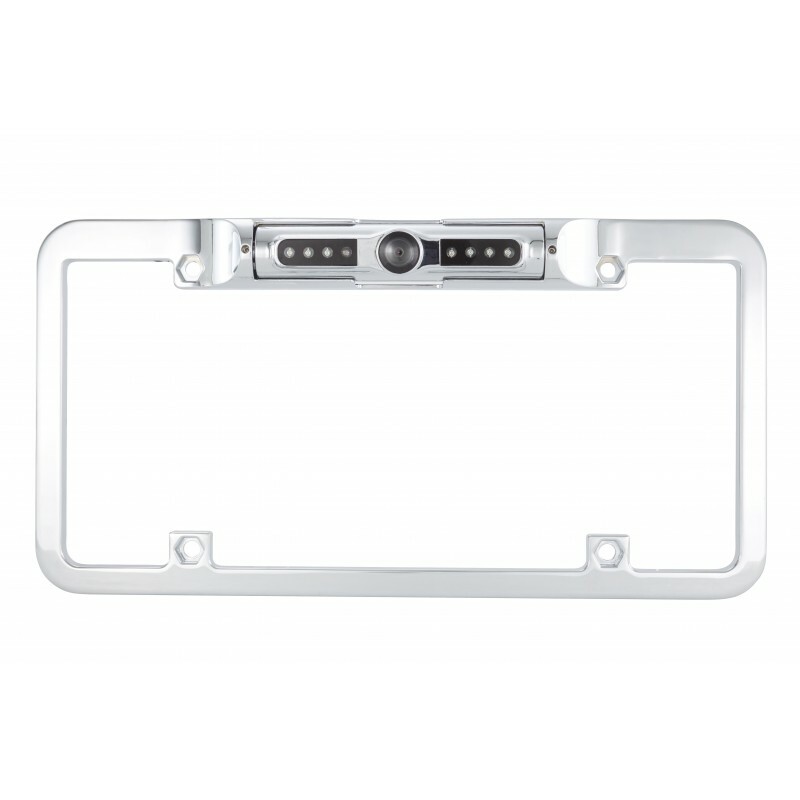 Featuring a chrome metal finish, this camera mounts on a replacement license plate frame. Blending seamlessly into your car’s design, it offers a clear view of what’s behind you, even at night. 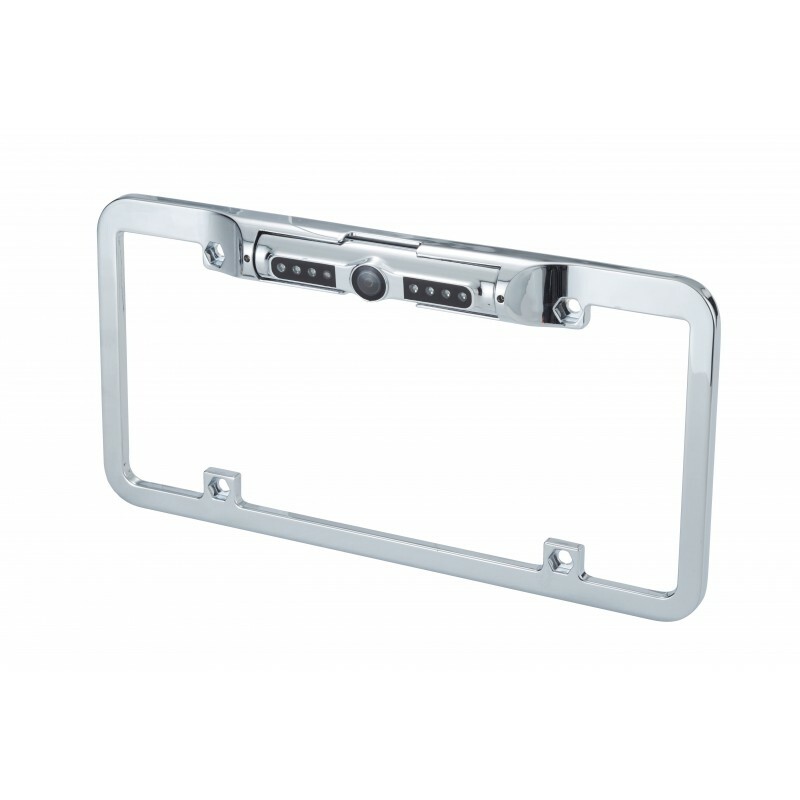 Night vision capabilities help you drive safely at night, when visibility is low.